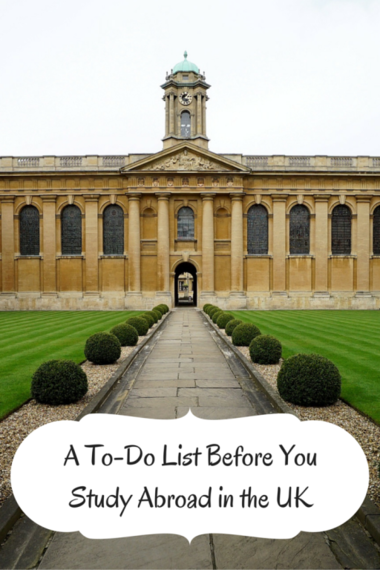 Failing to prepare is like preparing to fail; get organized, check off that list and do your research before you go overseas to the United Kingdom--you won't regret be over prepared. 1. Overpack: You won't be wanting to bring all your unnecessary bulky toiletries. You will be able to buy almost all of them there (unless you need to use specific brands) and chances are, they'll be even cheaper overseas (hello Poundland!). 2. Buy a roaming package for your phone: Phone plans are dirt cheap in the UK (the cheapest you'll pay is £5/month or at the most, £15/month, which will probably included unlimited data and lots of texting and calling). If you extend your phone plan from home it will still cost you more, especially for data--you'll want data in case you get lost. Try to get a month by month plan so you're not tied down to anything. If you can, sign up with Three Mobile, that way you can use your phone for free in 10 other countries in Europe! 3. Pay for unnecessary visas: Make sure you're aware of exactly which visa you'll need while in the UK. It's likely your home university's study abroad office will assist you in this, but avoid seeking advice elsewhere (i.e. from friends who've never studied abroad). If you're a citizen of a commonwealth country then you won't have to pay for a visa at all if you only plan to stay in the UK for six months. Research the different options and be wary of paying for a visa you won't need. 4. Bring your hair dryer and straightener: If you want to avoid bringing home a broken hair dryer/straightener, it's highly advisable that you buy a cheap one over there and share with your roommates. Oftentimes, North American hair dryers and straighteners aren't equipped to handle the voltage of a UK outlet. If you're certain yours can handle it then go ahead and bring it with you, if not, it's better to be safe than sorry! 5. Pack clothing for all climates: When you go travelling during your study abroad, it's highly unlikely that the weather will be the same everywhere you go. It could be snowing in Poland and sunny and warm in Spain in a matter of a couple of weeks. Avoid having to buy a new pair of shorts or some mittens once you get there and pack a few pieces of clothing for each season--you won't regret it. 1. Plan ahead for travelling: Is there anything you can bring with you that will help you plan for your eurotrip? It might be helpful to pack some of your things in a travelling backpacking of 30L or more and even bring along smaller items like a money belt, a lock for a hostel locker, a day pack or universal plug converters. These are things that you might not know where to buy once you arrive in the UK and they're quite easy to pack. 2. Prepare how you will spend money abroad: Are you going to open a bank account once you're there? Are you planning to use your visa? The former will involve wiring money over from your bank (more costly) or getting a bank draft before you go with the funds you will want to deposit in a new account once you arrive in the UK (cheaper). Talk to your bank personally and decide what the most affordable option is for you. Remember to keep in mind exchange rates and fees that your visa will incur. 3. Take out cash: You'll want a decent (but not hefty) amount of cash on hand for when you arrive in the UK in case you aren't able to set up your bank account right away or your visa doesn't work (also to pay for transportation on your first day). You might think you have it all figured out but you should still expect the unexpected. 4. Arrange how you will get to your new accommodation from the airport: It's never fun to be stranded in a new place, especially when you're jet lagged and incredibly overwhelmed. It's likely that there will be a train station in or near the airport you land in that will take you to your destination. 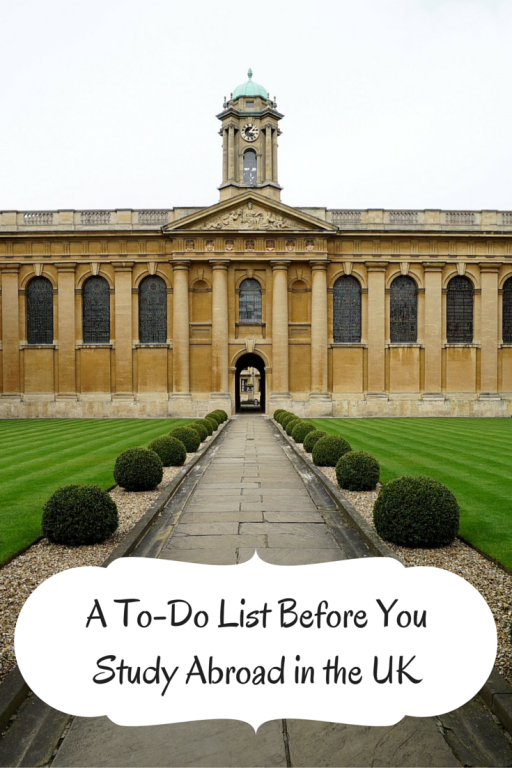 Do your research before you go or talk to friends who have already studied abroad at the same university about the best way to get to where you need to be. Chances are you won't have a working phone for GPS when you arrive, which is something you might not think about until you actually land. 5. Bring photos from home: Order some 4×7 prints of your family and friends so you can put them up on your bedroom wall once you arrive; they wont take up space and they're relatively cheap to print. The first week of your study abroad can be the most challenging--mentally and emotionally--and you'll thank yourself later when you have a reminder of home to look at on a daily basis. 6. Pack a journal: Buy a journal for yourself and write down something new for every day of your exchange. You may not believe it now, but your study abroad will flash before your eyes and before you know it, you'll be packing up your bags to head back home. There's no better souvenir to have than a journal filled with your favourite study abroad memories. It can also serve as a reminder of the names of places, people and specific things you encountered; you'd be surprised just how much you forget once you arrive back home. 1. Buy a 16-25 railcard: If you think that you'll be doing a lot of travel by train to different places in the UK (I wouldn't think twice about this one! 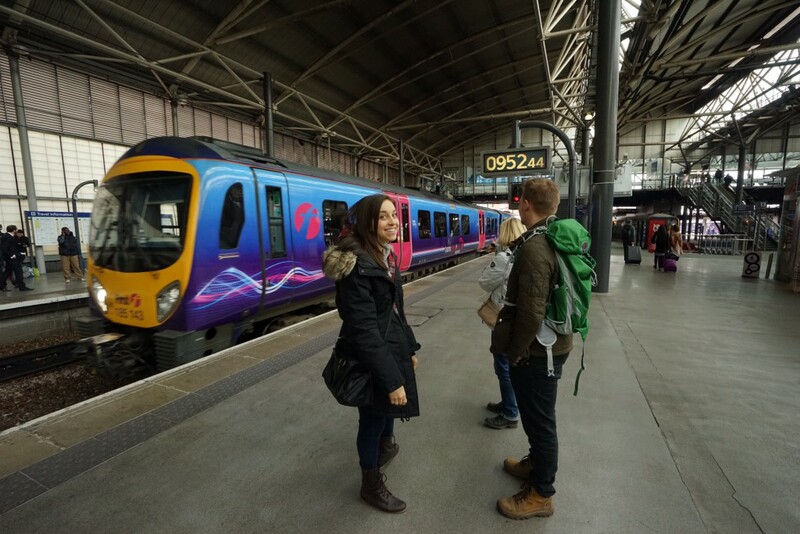 ), then you'll definitely want to get yourself a railcard because it will get you 1/3 off all train tickets for the entire duration of your exchange. You can order one online and have it sent to your address in the UK once you arrive. 2. Go to all the orientation events that you can: Believe it or not, the first few weeks of your exchange are a very important time for meeting friends, especially since you won't be busy with school and homework. Your new university and study abroad office will put on many events for exchange students during your first week, so try to go to as many of these as you can. This is where you'll meet tons of new people from around the world who are in the exact same boat as you.